Published in paperback and ebook by Pan Books, large print by Magna and audio by BBC/Chivers. 'Several years ago, a family visit to the restored Victorian copper port of Morwellham Quay in Devon inspired me to write a novel based on its fascinating history. Throughout that first day, ghosts from its past seemed to be materialising from the walls of the buildings where they had once lived and worked, entreating me to create a picture of their lives at the Quay well over a hundred years before. It was akin to some spiritual plea I could not ignore. Morwellham's Child is both a passionate and, at times. harrowing love story, and a tale of intrigue and deceit among a community already fighting for its survival. 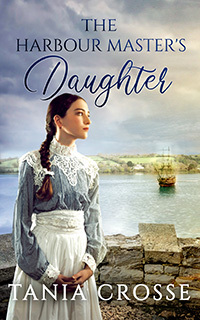 As young Rebecca Westbrook struggles to secure her own future, she discovers that the port is in jeopardy from the same enemy and she alone can save it . . .